Summer Salads! 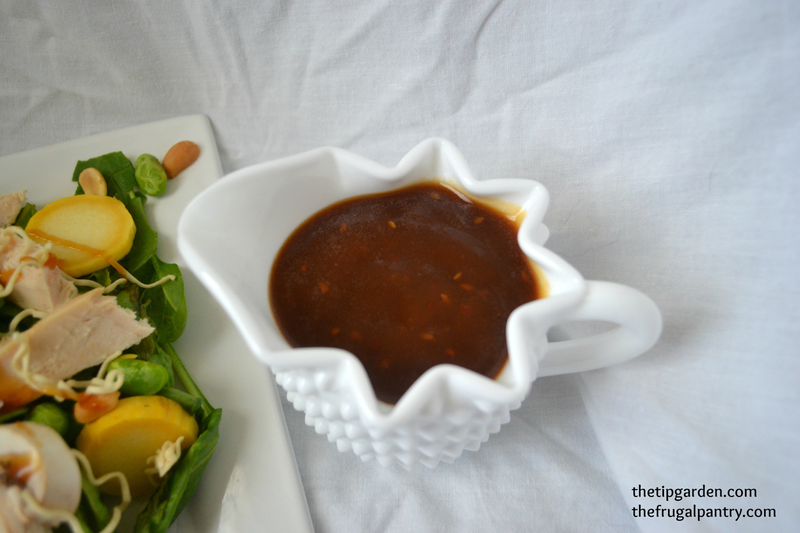 My hubby and I decided to spend some of our summer exploring new salads to add to our menu. So I'll Share my new finds with you! Today's recipe starts with my all time most versatile refrigerator item: A store bought rotisserie chicken. I usually buy two at a time, one to carve into for a meal and the other to shred up into meals for the coming 2 weeks. 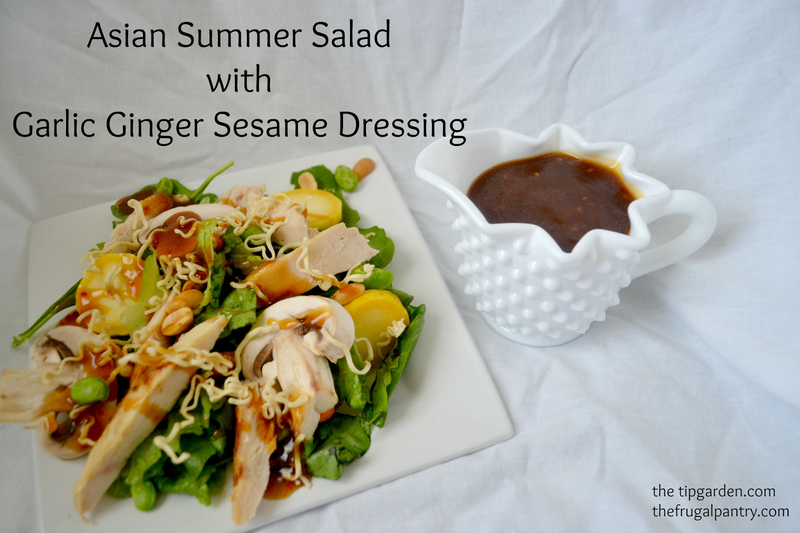 This Asian Summer Salad is topped with my new found love: Garlic Ginger Sesame Dressing which I found over at forkandbeans.com, and tweaked a little to my own preferences. It's a great site, you should check it out right after your done reading mine! For the Salad, I am making mine for only the two of us, so I mixed mine right onto our plates, if you want to make a family sized I'll give you some suggested amounts , but feel free to wing it a bit! Mix together lettuce and spinach. add in carrots, mushrooms and squash. 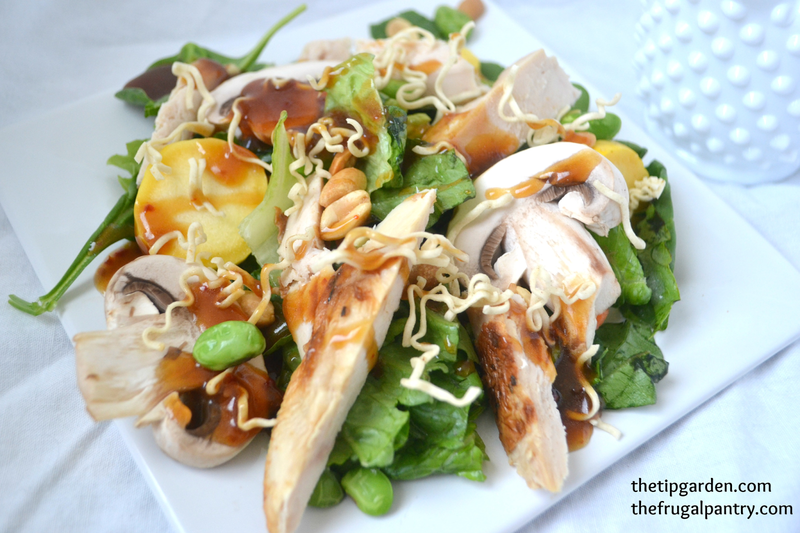 Top with chicken, edamame, nuts and finally the crunchy ramen noodles. Combine entire ingredient list and whisk until smooth.